Expectations and responsibilities for HR professionals are expanding every day. That means an increased exposure to risks and occupational hazards, such as being unable to justify a buying decision to the C-suite or learning an employee hasn’t been able to add an eligible dependent for benefits. And the solution in the market is simply “more.” More investment. More technology. But more isn’t always better. And better technology isn’t even the whole answer. What HR wants is technology with heart — designed and put into play from a very deep understanding of the risks that HR professionals face every day, every open enrollment period, every budget season. 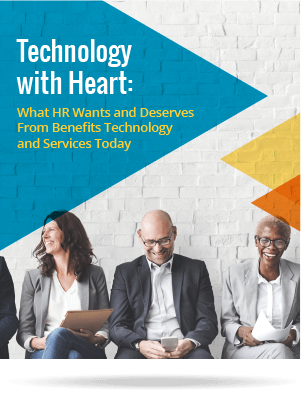 Download our latest e-book, “Technology with Heart: What HR Wants and Deserves From Benefits Technology and Services Today,” to learn the five fears organizations face around today’s SaaS solutions and what HR needs today — in this rapidly changing, often uncertain market. This is the new world of benefits technology and services. 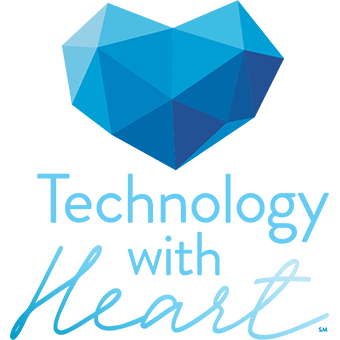 Don’t you deserve technology with heart?